as we network, celebrate and grow! A registered non-profit 501(c)(3) organization that connects 13,000+ STEM graduates from top rated universities across the world. 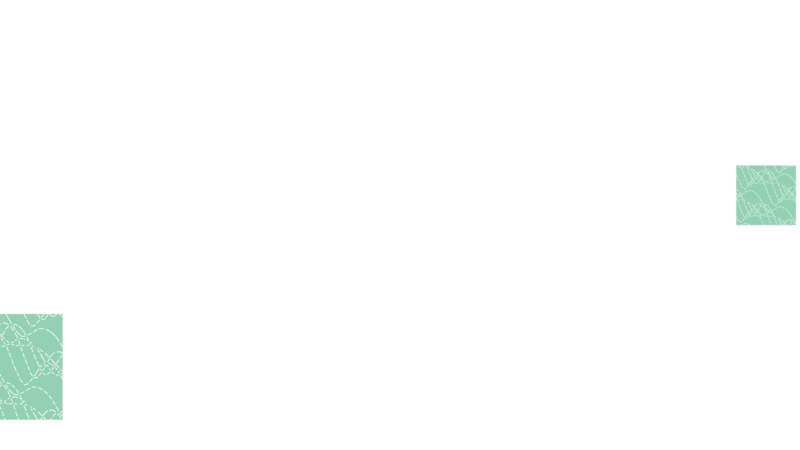 EuroSTEMPeers enables STEM graduates to access the global network for mentoring, empowerment, growth and support in their professional careers. 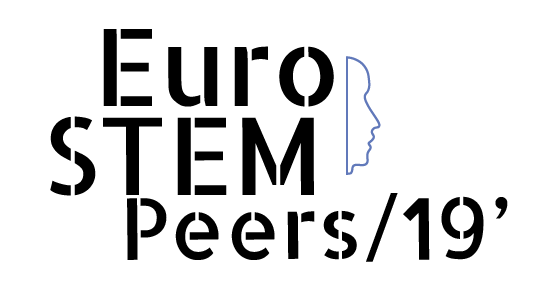 EuroSTEMPeers is the European chapter of a 13,000+ member strong global STEM network which aims to bring early stage STEM researchers together to seek collaborations, and help them transition to a variety of industrial, academic or entrerpreneurial roles. 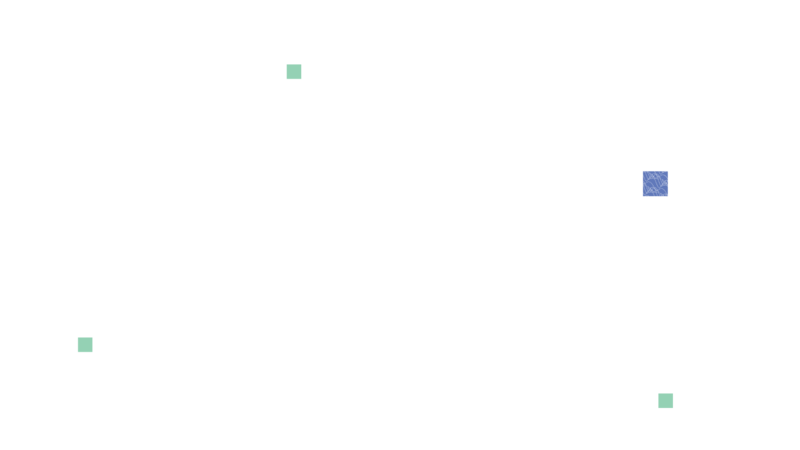 After successfully hosting three STEMPeers meeting in the last two years (Boston August 2017, Brno April 2018 and New York August 2018), the EuroSTEMPeers 2019 in Berlin will bring a unique stage for young researchers and professionals to connect, communicate and take advantage of the STEMPeers network in building their future roadmap to success. Nina studied biology at Radboud University in Nijmegen, the Netherlands. After her bachelor, during which she did a research project at Max Planck institute for Chemical Ecology, she obtained her master's degree. She specialized in molecular biology, focusing on plant sciences. 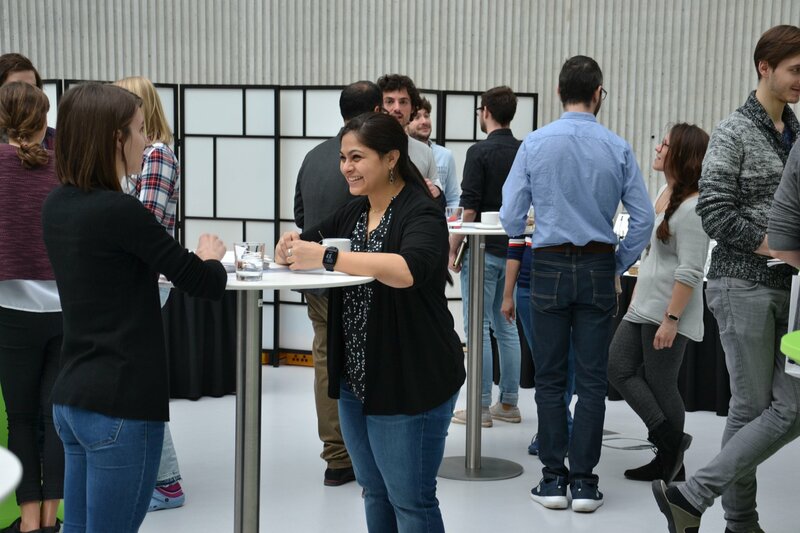 Her research thesis on the epigenetic adaptation response to abiotic stress in Solanum dulcamarawas was awarded with the Dutch Royal Scientific Society (KHMW) young talent thesis prize in 2015. She got introduced to plant breeding and research outside of academia during an internship at Rijk Zwaan breeding BV, a Dutch family owned vegetable breeding company. After graduation, she realized that she was more passionate about working in R&D than in academic research, and so she started working in plant breeding. Nina currently work for Rijk Zwaan, where she is the Specialist Molecular Breeding Brassica. She works on a wide variety of molecular biology research and development projects for four major and three minor brassica crops. 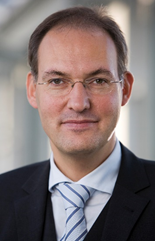 Jan-Philipp Beck is CEO of EIT Health and chairs the organisation’s Management Board. He was appointed to the position on 1 February 2018. He is passionate about transforming healthcare in Europe through partnership and innovation. As CEO, his overarching objective is to support EIT Health’s vision of connecting the healthcare needs of European citizens with policy makers and its incredible network of over 140 partners to deliver innovative healthcare solutions that can positively transform healthcare outcomes across Europe. 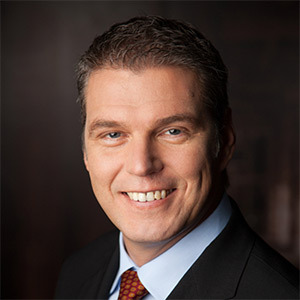 Prior to his appointment as CEO, Jan-Philipp was EIT Health’s COO where he contributed significantly to developing the structure, system and processes of the organisation during its establishment phase, as well as managing the organisation’s initial portfolio of projects through active monitoring of performance and impact. 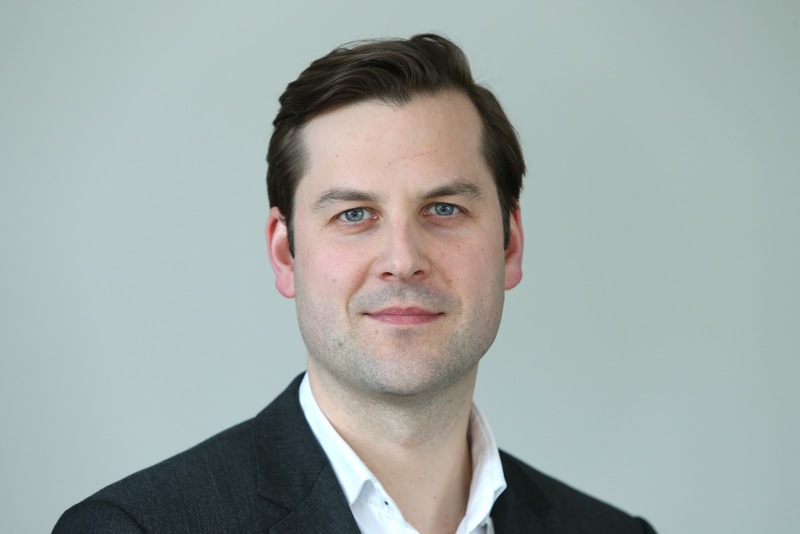 He joined EIT Health in 2015 from EY and previously Deloitte, where his work involved supporting industry, universities and research organisations with the development and roll-out of R&D, innovation projects and related financing concepts. 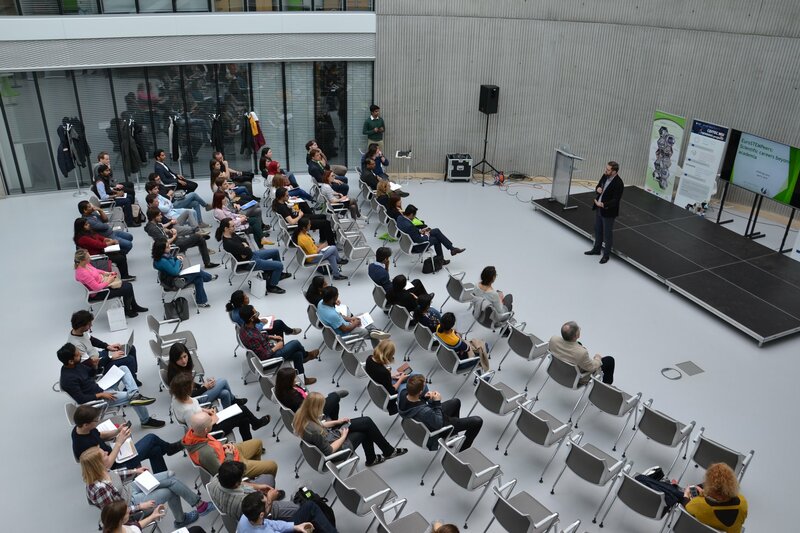 Prior to this, he was Executive Director of the European Youth Parliament, an educational project of the Schwarzkopf-Stiftung in Berlin, where he oversaw the organisation’s work connecting over 30,000 young people a year across 34 countries. He holds a MA in Political Science, Economics and English from Eberhard Karls Universität Tübingen in Germany. Prof. Craig Garner received his doctoral degree in Biochemistry at Purdue University and did his postdoctoral studies at the Friedrich Miescher Institute in Basel, CH and was a junior group leader at the Center for Molecular Neurobiology in Hamburg. His most recent faculty appointment was at Stanford University as Professor in the Department of Psychiatry and Behavioral Science, where he co-directed the Stanford Down syndrome Center. In 2014, he became a Scientist/co-Speaker of the DZNE-Berlin: German Center for Neurodegenerative diseases and Professor at the Charité –Universitätsmedizin Berlin. In 2015, he co-founded SPARK-Berlin to help educate academic scholars about translation and entrepreneurship. He has also founded three biotech companies, “Balance Therapeutics”, “Stealth Biosciences” and Navan Technologies. He maintains an active basic research program focused on the molecular and physiological mechanisms of synapse assembly and function in health and neurodegenerative diseases. My career in science has been a wonderful gift that keeps on giving, from the amazing people I have met to the endless puzzles of nature that can be explored. My true passion is people and working with them to unlock their creativity and embrace new challenges, e.g live outside their comfort zone. The SPARK-Berlin program is the purest embodiment of this idea. Through an all volunteer network, it works with academic scientists to convert their 'good ideas into great products and therapies that change clinical practice. It is also about scientist taking ownership of their ideas beyond publications. Markus Dettenhofer, Ph.D. is the Executive Director of the Central European Institute of Technology (CEITEC). CEITEC is a scientific consortium of 6 universities and research institutes in Brno, Czech Republic, which has up to 550 scientists working in the fields of life sciences, advanced materials and technologies. Prior to joining CEITEC, Dr. Dettenhofer was Project Leader in pre-clinical development for viral vaccine and antibody discovery at Crucell (Johnson &amp; Johnson). His previous work at Harvard Medical School was in the field of genetics and developmental biology, including studies on genes which control bone development and memory function. He led a study analyzing the development of the biomedical economy in Panama. His most recent work is on governance practices in higher education institutions and their contribution to performance. Dr. Dettenhofer was a visiting scholar at the Institut de Biologie Molécularie et Cellularie in Strasbourg, France, and is frequently a Visiting Scientist with the Joint Research Center of European Commission. He received his Ph.D. from Johns Hopkins University, and a B.S. from UC Berkeley. 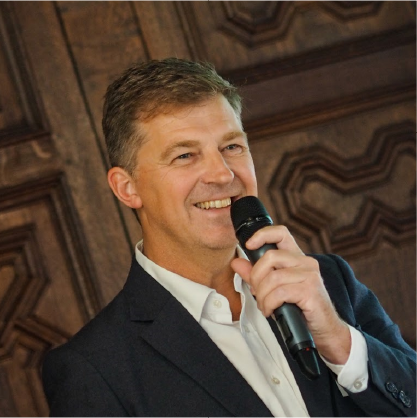 Dr. Chris Armbruster is co-founder of the campaign 10,000 Data Scientists for Europe, and a founding member of the AI Guild, which connects Data Scientists and Machine Learners throughout Europe. 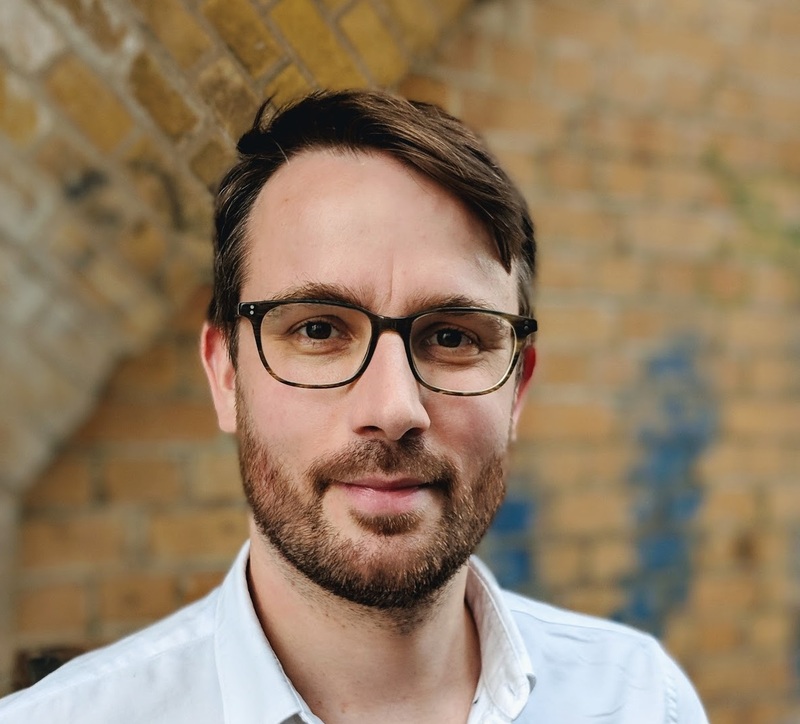 In his capacity as Director Community at the Berlin-based mobility innovation hub, The Drivery, he is pushing for more and better startups and products in data-driven mobility and autonomous transport. Prof. Lawrence Rajendran is a renowned expert in the cell biology of Alzheimer’s disease. He studies the cellular and molecular underpinnings of amyloid formation and synapse loss that characterize Alzheimer’s, in particular, his lab uses both cell and systems biology approaches to dissect out the complexity of the disease process. He is interested both in neuronal as well as microglial cell biology. He is one of the founding members of the International Society for Extracellular Vesicles (ISEV) and served on the board as the Steering committee member. 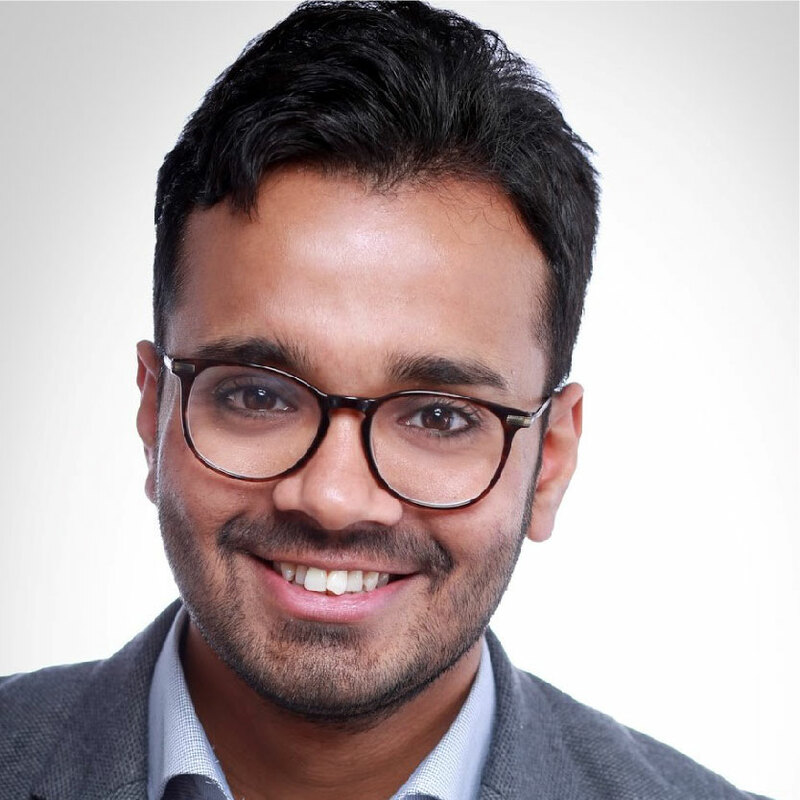 On the social side, he is also the founder of Raise.Rural, a non-profit organization dedicated to support rural students in India to pursue research. He holds a PhD in Immunology and an MBA from London School of Economics. He has won many awards and honors including the European Young Scientist Grand Prize, German Neuroscience Society's Schilling's prize, the Breuer Award, the National Medal of Honor and the President’s Prize by the Govt. of Panama, German Alzheimer’s Hirnliga’s Steinberg-Krupp Prize, Boehringer Ingelheim Apopis Prize, European Neuroscience Society Award and a University gold medalist in both Bachelors and Masters. Rajendran featured in the 2009 World's top 100 Scientists. He is also the founder and Chairman of ScienceMatters, the next generation open-access and open science journal platform that publishes single observations in science and Eureka, a blockchain based science publishing platform. 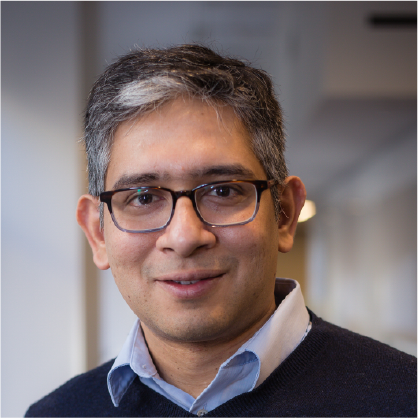 He believes that the current research process can be greatly complemented by the recent advance in machine learning technology. 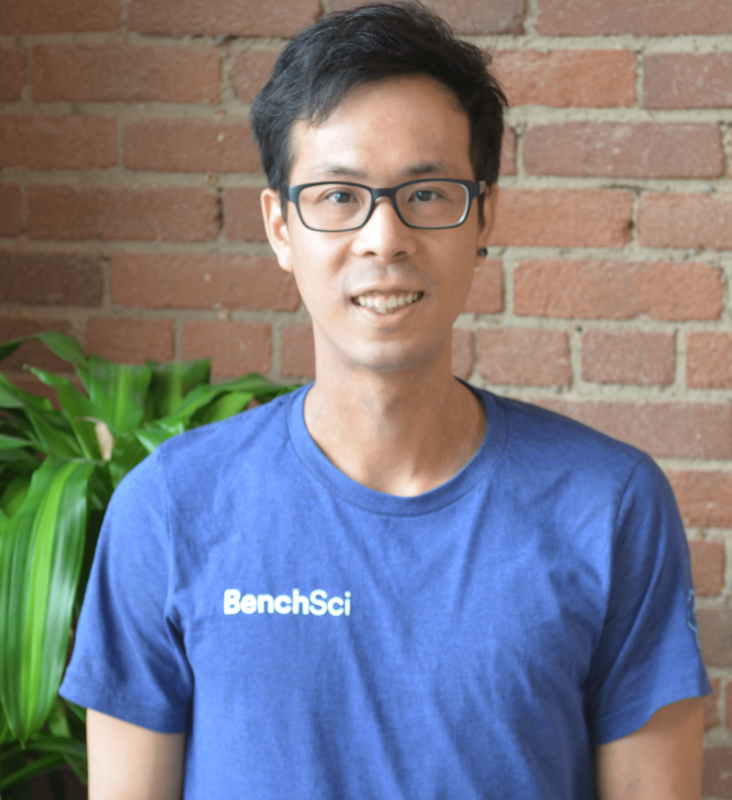 He is dedicated to building a digital research tool that can benefit the scientific community as a whole by speaking to researchers and incorporating their needs into BenchSci. Outside of work, he is passionate about singing, particularly rock & roll. He has entered singing competitions twice. He also enjoys watching thriller and mystery movies. For outdoor activities, he likes to go hiking and biking in the summer, while during winter he loves snowboarding. 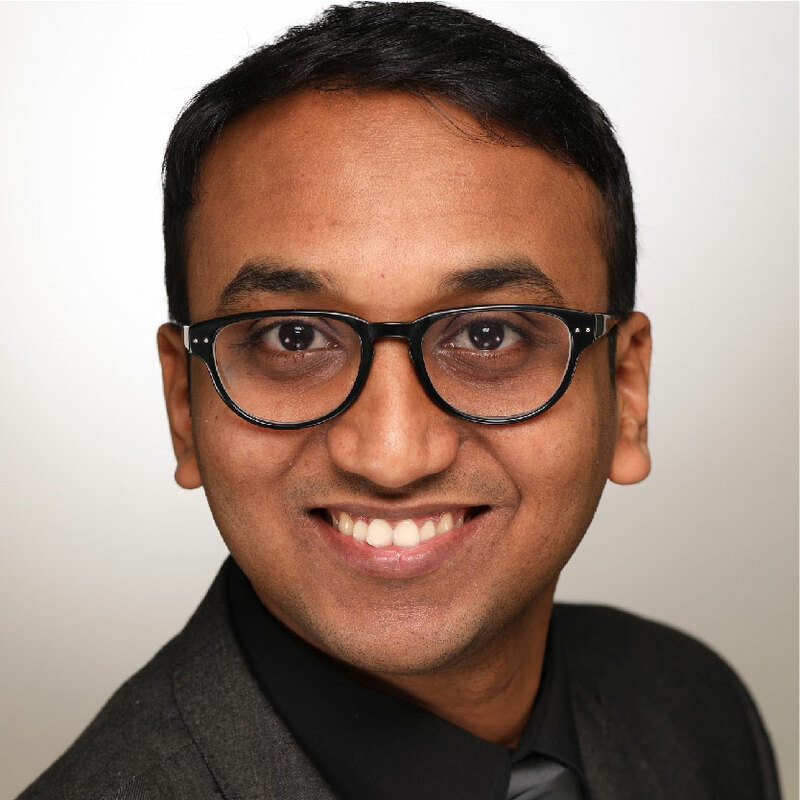 Guru joins LabTwin with several years of experience as a biotech researcher and a lifetime's worth of passion for entrepreneurship. 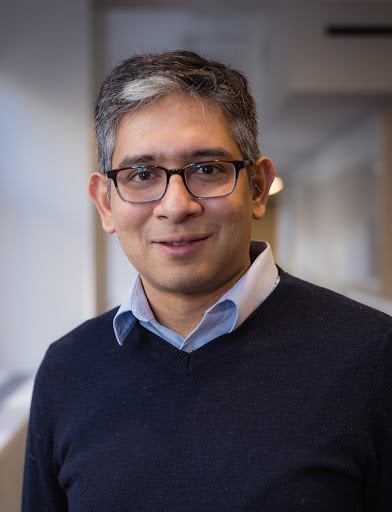 Beginning his journey as a biotech engineer in India, he published numerous research papers and co-founded life science startups and foundations. 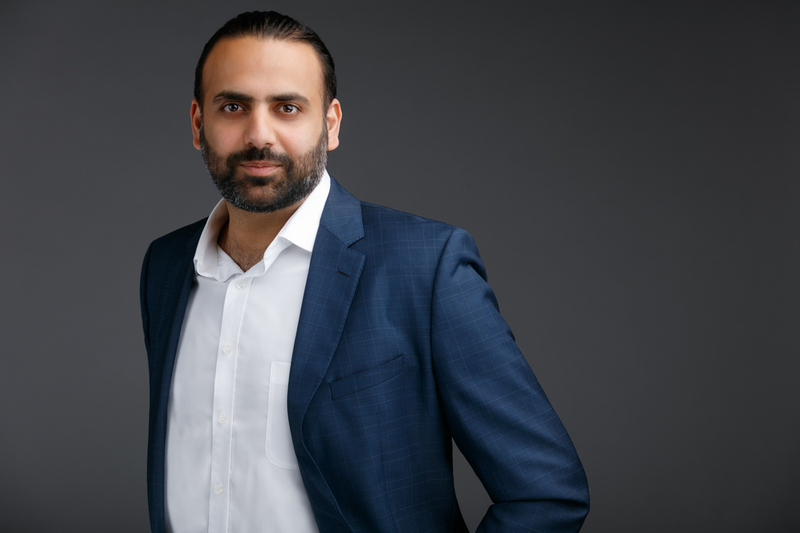 After earning his Professional Science Master's in Biotechnology from the University of Delaware, Guru served as a marketing leader at Scientist.com and Science Exchange - two California-based life science SaaS startups. During his tenure at Scientist.com, he helped it become the 9th fastest-growing company in the United States and saw it grow by 15,268% within three years. 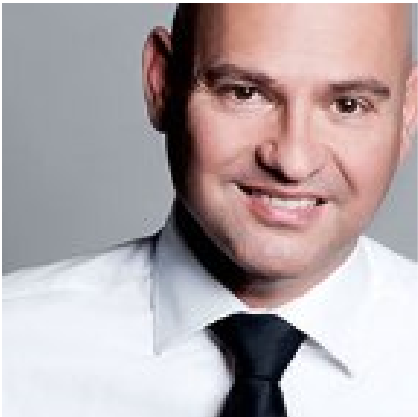 Ulrich Pieper is the Founder and General Manager of Xpomet. XPOMET©/Medicinale 2019 is a three-day international tech and medicine festival embracing the next generation healthcare ecosystem through creative disruption and knowledge transfer. It is part of the XPOMET vision to connect all important stakeholders in the next generation healthcare. It is designed to celebrate and inspire every citizen with discoveries and progress in health sciences. Over 5000 international attendees will experience 150 inspiring speakers, 15 public and private deep dives and 200+ of the most inventive companies, with the aim to enabling and fostering new trans-disciplinary solutions, business models and partnerships in medicine and life sciences. A valedictorian, Dr. Patnala received her doctorate in 2017 from National University of Singapore. Her doctoral research specialized in Neuroscience, Epigenetics and Ischemic Stroke, before which she conducted a year of research in Cancer Biology during her Masters (Hons) at The Australian National University. 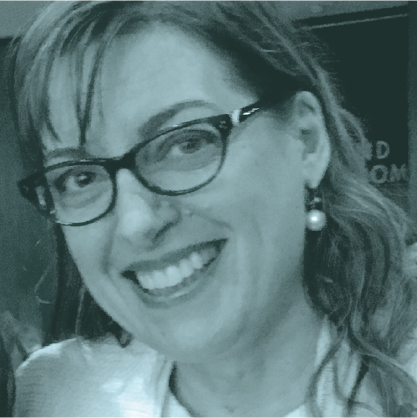 Through Sci-Illustrate, she explores the intersection between science and art, and uses her scientific and design expertise to solve design problems for biotech research, industry and pharma. With various life-science tailored design services and scientific illustration skill-dev workshops for life-scientists, Sci-illustrate also operates to enhance effective science communication within the research community and beyond. Stephanie Dawson grew up in northern California, studied Biology at Yale University and received a PhD in German Literature from the University of Washington. She spent over 10 years at the academic publisher De Gruyter in Berlin in the fields of biology and chemistry, in both journals and book publishing. 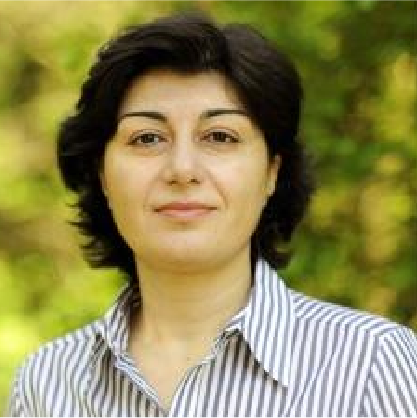 In 2013, she joined ScienceOpen as managing director. Dr. Ludger Dinkelborg serves as the CEO of Life Molecular Imaging, innovating early noninvasive diagnosis and characterization of diseases. The portfolio addresses indications in neurology, oncology and cardiology allowing earlier and more precise diagnosis as well as monitoring therapeutic outcome. 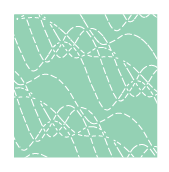 The lead product, NeuraCeqTM, is globally approved for the detection of amyloid beta in patients evaluated for Alzheimer’s disease. Before establishing Life Molecular Imaging, Dr. Dinkelborg co-founded Piramal Imaging, and headed Diagnostic Imaging Research and Molecular Imaging functions at Bayer HealthCare. He brings more than 25 years of R&D experience in the pharmaceutical industry. He received his PhD in biology at Heinrich-Heine-University, Dusseldorf, Germany and stayed as guest researcher at the Max-Planck-Institute for Molecular Physiology in Dortmund. He became a fellow of the Konrad-Adenauer-Foundation, attended the Cranfield Schering University, and the Executive Program at Stanford School of Business. Johanna Holldack has worked in the pharmaceutical industry for more than 20 years, where she has held key positions in both start-up and large pharma companies. Her experience includes management and executive positions at Behringwerke, Chiron, MediGene as COO, Borean Pharma as CEO, Telormedix as CEO, and Trethera as CEO and president. She exited three of the companies successfully, raised more than 200 M as dilutive and non-dilutive funding. She got several products approved on the US, European and Asian market. 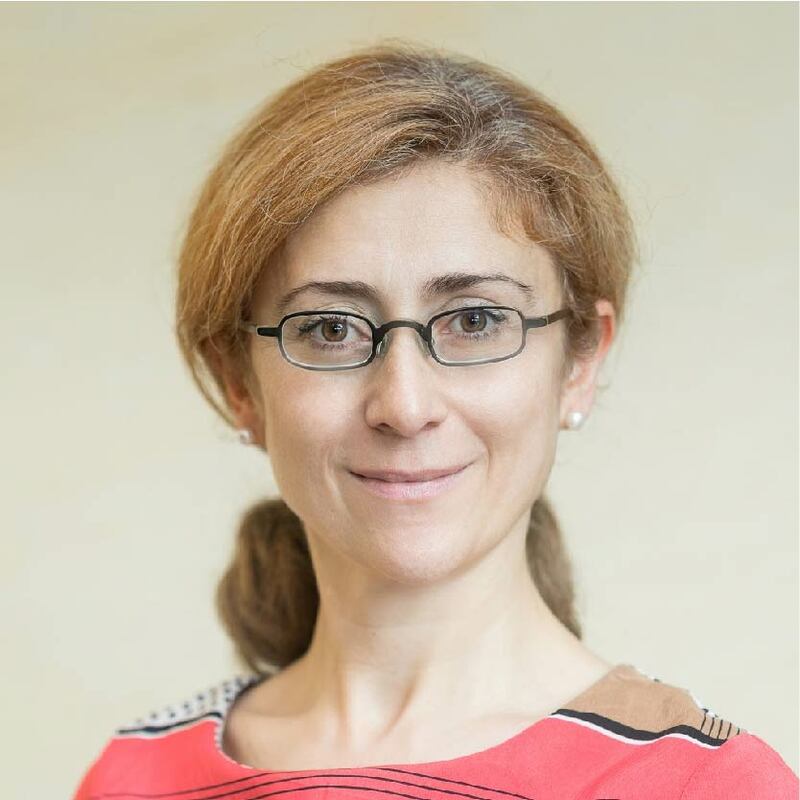 She is since 2014 Chairman of Amaltherapeutics in Geneva and board member of Photocure in Oslo. Johanna has a medical degree from Georg-August-University in Gottingen, Germany and is a Board Certified pediatrician. In addition, she has held positions as an Assistant Professor at the University of Essen, research fellow for the Deutsche Krebshilfe and a research associate at Harvard Medical School. 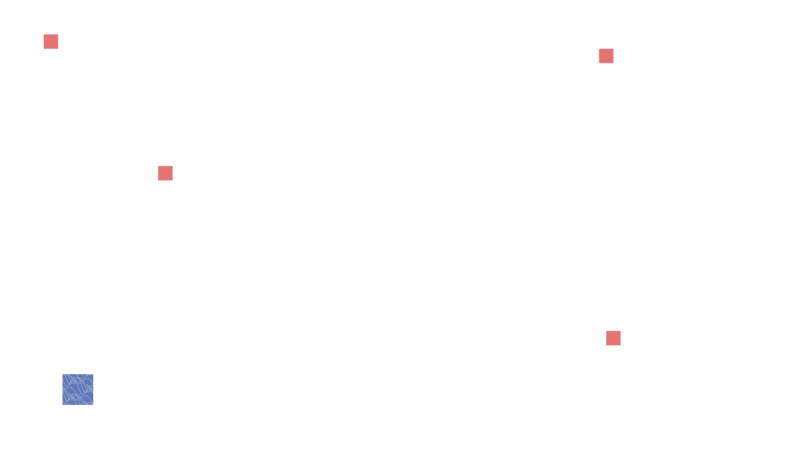 Ananda founded Stempeers.org realizing dearth of mentorship and platforms dedicated to social and career issues for the growing worldwide STEM workforce. He is keenly interested in building passionate communities as a solution to some of the world's unsolvable problems. He currently works as a business development professional at the NYU’s Technology Ventures and Partnerships (TVP) working at the interface of biomedical research and business development. At TVP, he helps transfer cutting-edge technologies to healthcare companies and consumers. In his spare time, he manages a New York based South Asian music band called Imon and spends time either jamming or performing in and around New York. A proud dad now he loves life as it is. 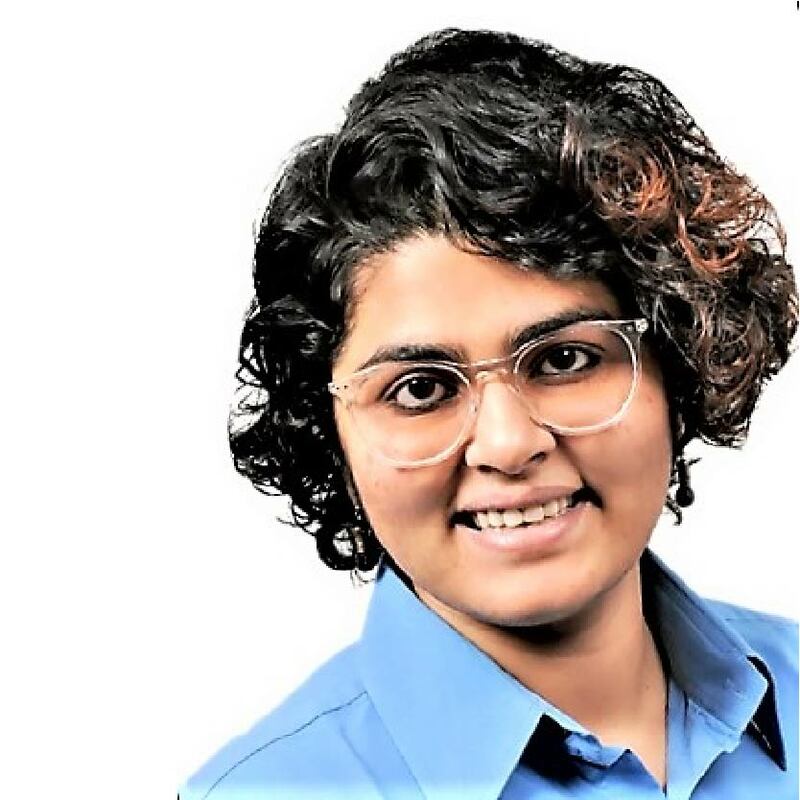 Drashtti Vasant is currently the youngest IT Business Partner at Bayer and supports Translational Sciences. Trained as a Bioinformatician, she previously worked at the EMBL-EBI and Thomson Reuters before joining Bayer in January 2018. She is deeply involved in the field ofsemantic technology and co-developed several bio-ontologies. Her focus is on making data FAIR within Bayer and bringing about digital transformation in her business,so she is always on a lookout for new technologies and its applications. 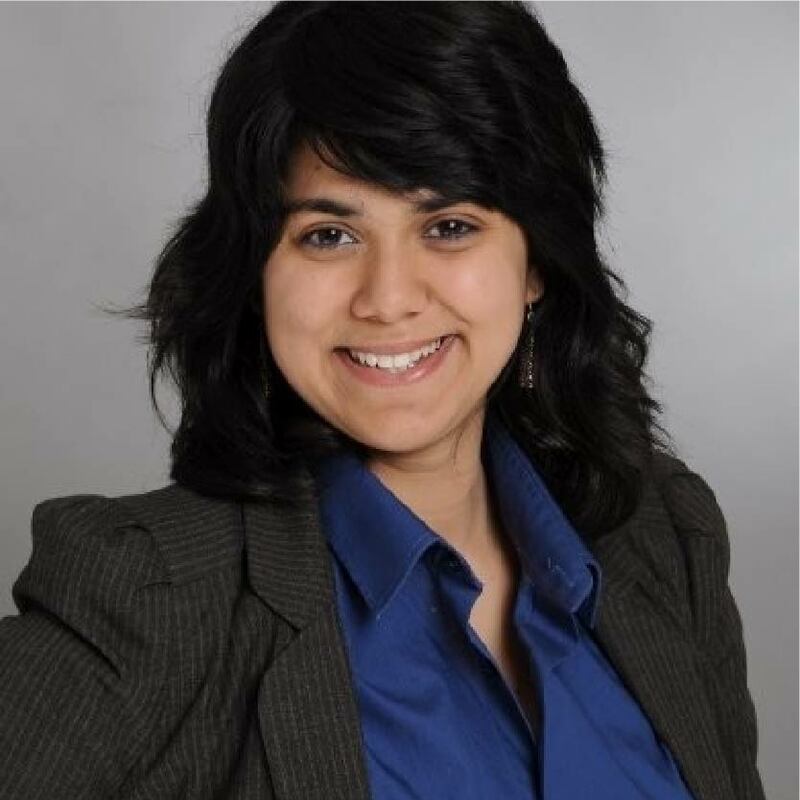 She has also been involved in activities around increasing women representation in technology within Bayer and encouraging dialogues on how to hire “diverse” data scientists within the organization. 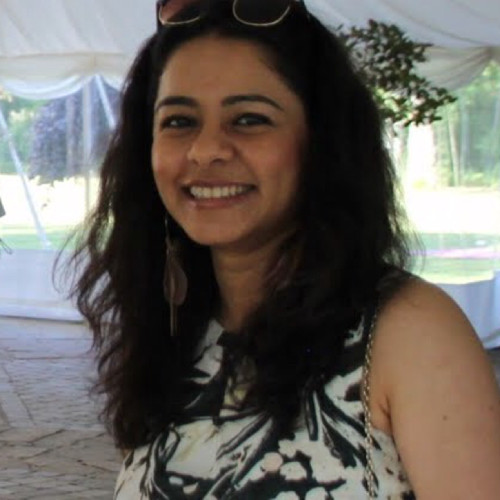 Having lived in India and UK before moving to Germany in 2018 and gaining firsthand experience of these different cultures has helped her to grow both personally and professionally. If not reading up on technology, you will find her reading history or listening to podcasts. Markus Dettenhofer, Ph.D. is the Executive Director of the Central European Institute of Technology (CEITEC). CEITEC is a scientific consortium of 6 universities and research institutes in Brno, Czech Republic, which has up to 550 scientists working in the fields of life sciences, advanced materials and technologies. 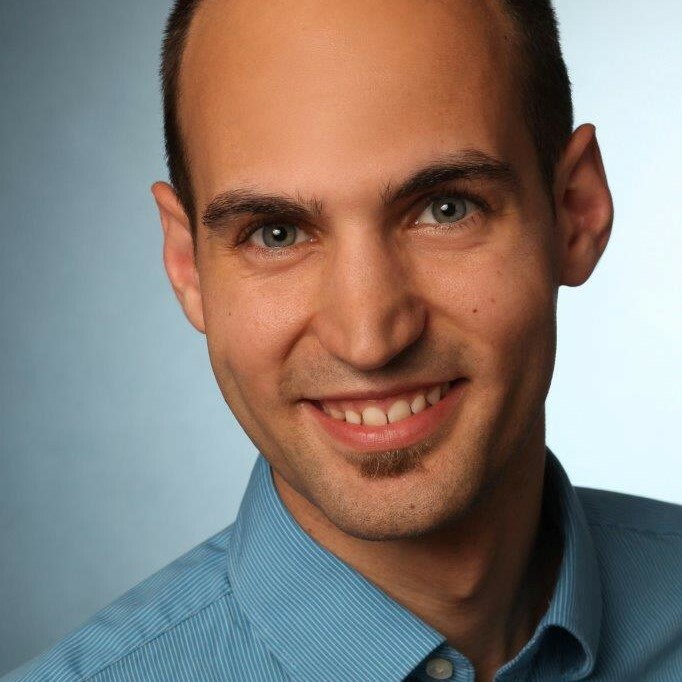 Prior to joining CEITEC, Dr. Dettenhofer was Project Leader in pre-clinical development for viral vaccine and antibody discovery at Crucell (Johnson &amp; Johnson). His previous work at Harvard Medical School was in the field of genetics and developmental biology, including studies on genes which control bone development and memory function. He led a study analyzing the development of the biomedical economy in Panama. His most recent work is on governance practices in higher education institutions and their contribution to performance. Dr. Dettenhofer was a visiting scholar at the Institut de Biologie Molécularie et Cellularie in Strasbourg, France, and is frequently a Visiting Scientist with the Joint Research Centre of European Commission. He received his Ph.D. from Johns Hopkins University, and a B.S. from UC Berkeley. 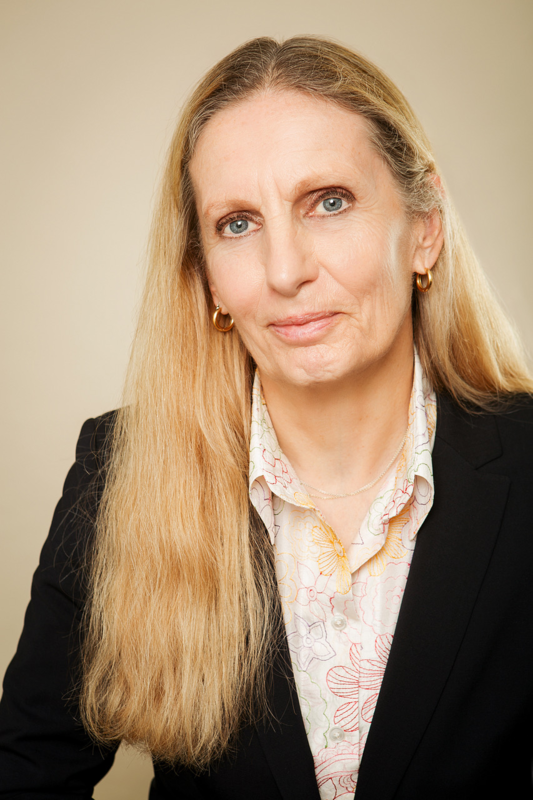 Gabriele Yvonne Matthias is Co-Founder and Board Member of the international Women in Science association. As a Molecular biologist with over 20 years experience in fundamental biomedical research, she strongly believes that innovation can only grow when creative freedom to explore and go beyond is consistently nurtured and diverse perspectives are included. In addition to her scientist background she has long-time experience in diverse roles such as entrepreneur, teacher, mentor, non-profit leader and board member. She has written on Forbes.com and received the 2013 HBA President’s award. In her free time, she enjoys outdoor activities with her family, works on her plant-based culinary skills or learns about gemology. 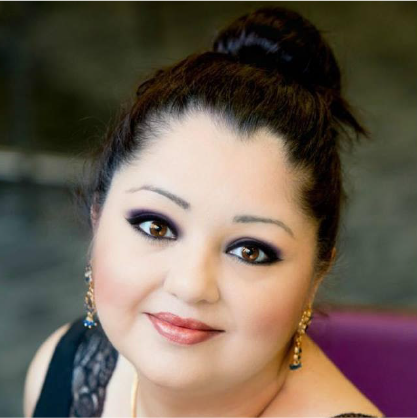 Dr. Nana Bit-Avragim is a digital health expert and strategist. Nana is passionate about new life sciences technologies and believes that innovation means adapting to the future. She is a Program Lead at Brandenburg Medical School Theodor Fontane. To translate the latest global technological developments into life sciences and align it with the healthcare industry, Nana has successfully developed and executed a broad scope of innovative programs and partnerships between SMEs, NGOs and academia in her previous roles as Director of Entrepreneurship and Innovation at Charité Foundation and Head of Digital Health & Life Sciences program at the German hub of Singularity University, an executive education organization based on NASA Research Park in Silicon Valley. Nana enjoys communicating across borders and cultures and she loves tweeting about digital health, medical innovations and open science. Britta Eickholt is Professor of Molecular Biology and Biochemistry at the Charité, Berlin. Her research focuses on the cellular and molecular mechanisms controlling neuronal morphogenesis and circuit formation. Her team works on the spatiotemporal aspects of signaling in neuronal cells that impinge on the regulation of cytoskeletal dynamics. 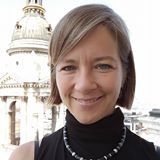 Britta was in London for 17 years where she completed her PhD and became a Professor of Molecular Neurobiology at the King’s College London. She then moved to Berlin in 2011 at the Institute of Biochemistry, Charité where she is currently the Director of Institute of Molecular Biology and Biochemistry and for Charite Centre 02 (Grundlagemedizin). She is extremely active within the scientific community and is involved in all aspects of research and teaching in biochemistry within a major medical school in Europe. She is constantly involved in mentoring researchers from diverse backgrounds. 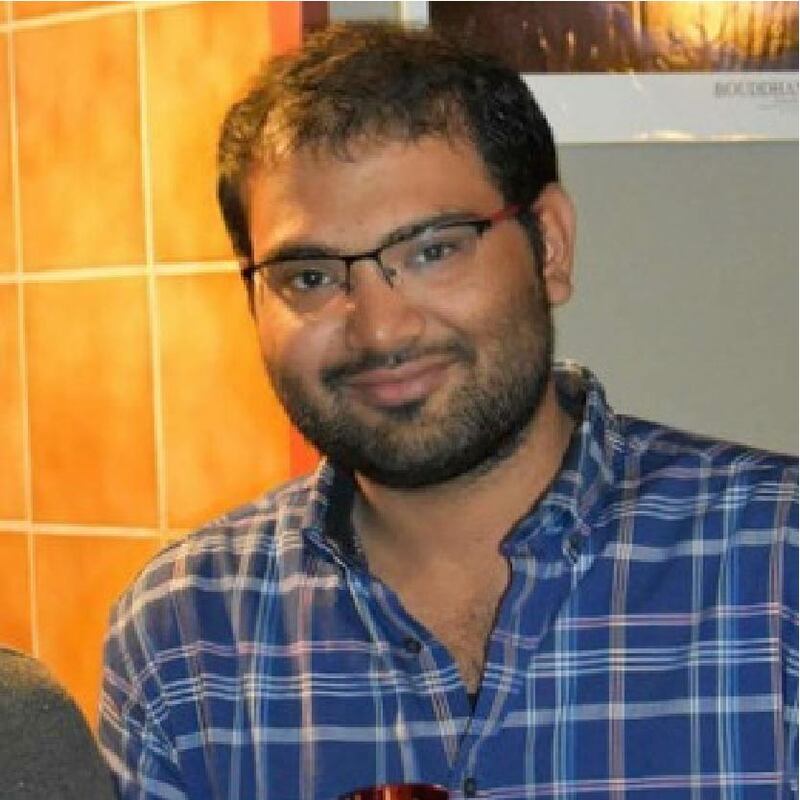 Mayur completed his PhD in neuroscience from the Max Planck Institute of Experimental Medicine, Göttingen, Germany and is currently a postdoctoral scientist at Charité Medical University, Berlin, Germany where he focuses on understanding the signalling mechanisms underlying autism spectrum disorders. Being a problem solver and a firm believer of the power of networking, he enjoys bringing people, science and businesses together for innovative solutions to complex problems. Taraka is a doctoral research fellow at Central European Institute of Technology, Brno, Czech Republic. 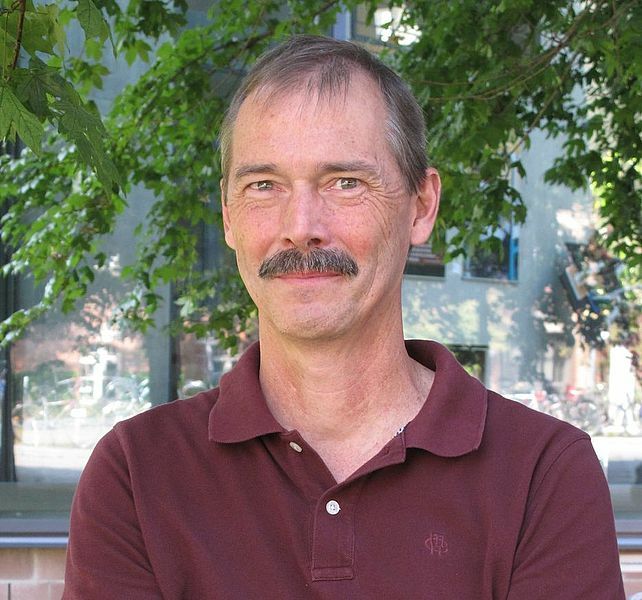 His specialization includes plant biology and bioinformatics. He is a pro-active scientist and pushes several student led initiatives. 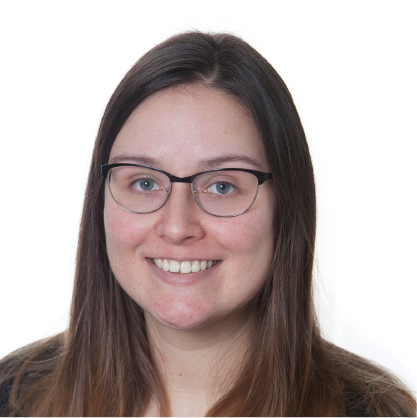 Olga Arbach is an MD and PhD currently engaged in the translational SPARK Berlin program, a mentoring network aimed to accelerate the translation of university-based inventions into clinically relevant drugs and diagnostics. The effort to understand translational requirements and innovative approaches led her to pursue her MBA where she graduated with work on lean business modelling applied in the highly regulated world of life sciences. She continues her work as a SPARK project manager at the Berlin Institute of health contributing both clinical and business expertise and has profound understanding of entrepreneurship methods that have the power to enable us to shape and change ourselves and our world. 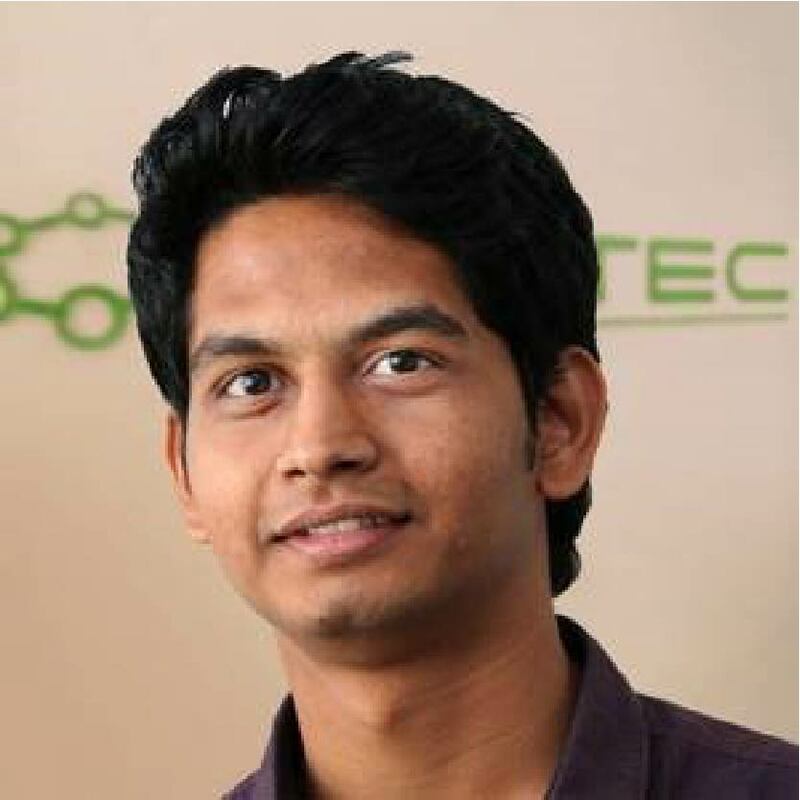 Nandan is a doctoral research fellow at Central European Institute of Technology (CEITEC), Brno, Czech Republic. His research focus is on RNA quality control in mammalian cells. He has been actively involved in organising student activities right from his masters degree. 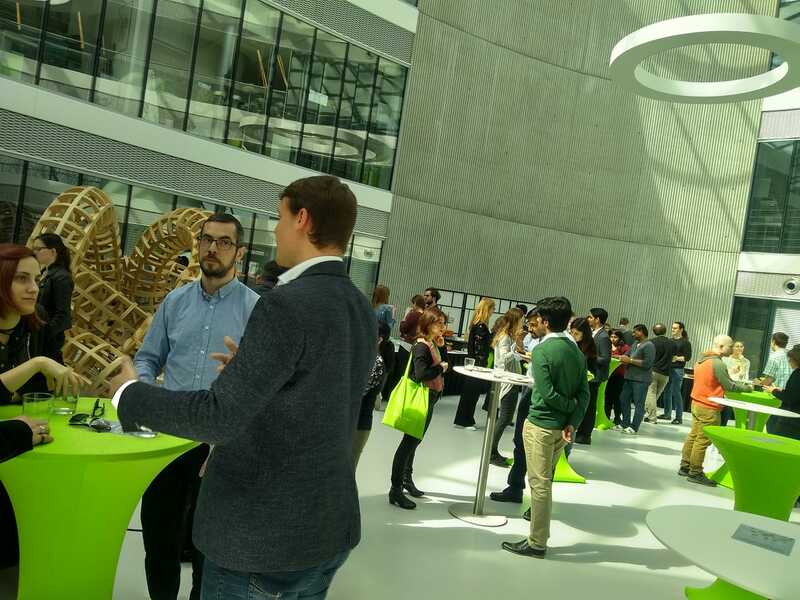 Along with his peers at CEITEC and PhD Career Support Group, he co-organised the EuroSTEMPeers 2018. Anzer is a doctoral research fellow at Central European Institute of Technology (CEITEC), Brno, Czech Republic. His research is focused on the role of the RNA editing enzyme (ADAR). Apart from his scientific endeavours, he is currently the graduate student representative at RNA-Junior Scientists Committee, which is a part of RNA Society. 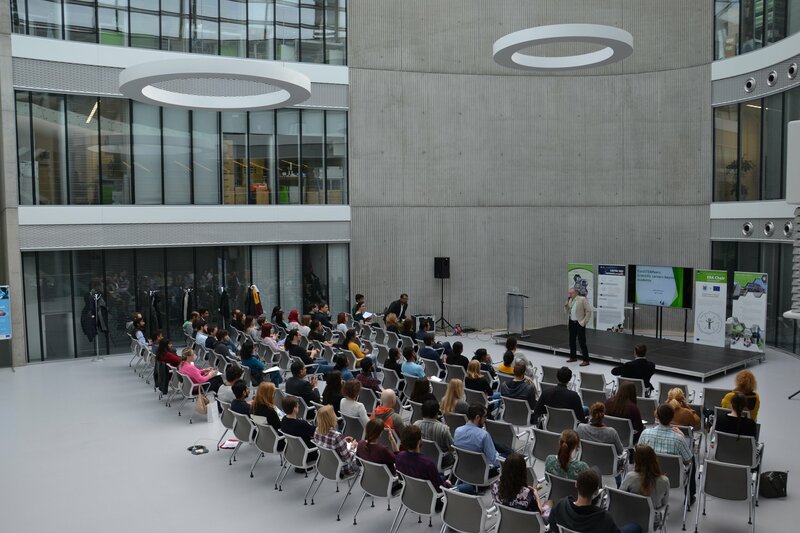 He has been actively involved in many student initiatives at CEITEC and co-organised EuroSTEMPeers 2018. Annesha started her career in infection biology and obtained a PhD from the Robert Koch Institute, Berlin, Germany. She then made a transition into the medical device industry and her specialisations are in the neurosurgical and the trauma sector. She now works as the Head of regulatory affairs at aap Implantate AG, helping with global medical device regulatory strategising. 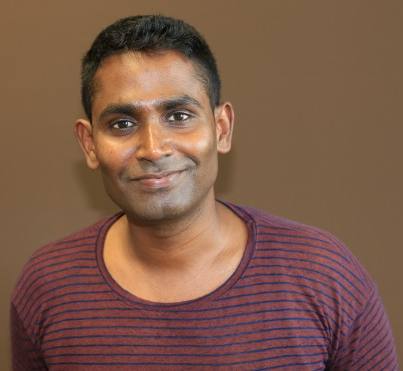 Tanmoy did his PhD in molecular neuroscience from the University of Göttingen, Germany and is presently working in the area of Alzheimer’s disease research in DZNE, Bonn, Germany. He is deeply passionate about art, history and especially politics and could spend hours debating over a mug of steaming tea. 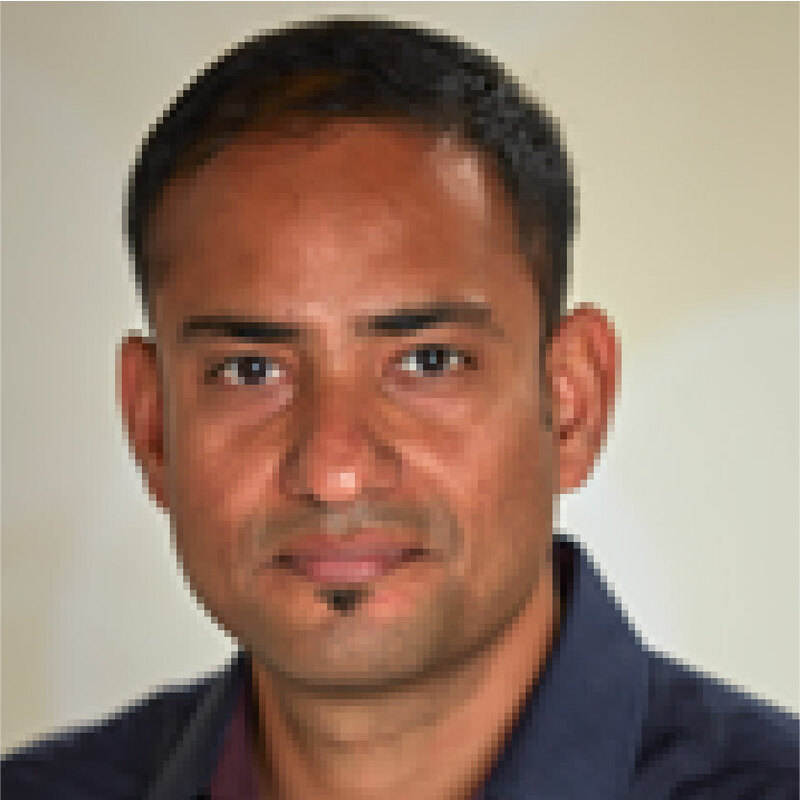 Rohit is a software professional at Verivox GmbH, Heidelberg, Germany. He has been working in the software industry for 12+ years. In the past, he worked for several organisations like IAEA and United Nations. He has been working for the Indian diaspora in Germany and is enthusiastic about Indo-German business corridor. Currently, he is the treasurer at Heidelberg Indian Students Association. 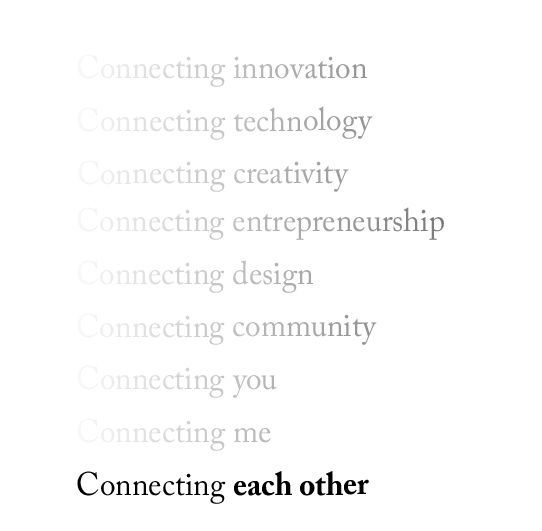 His, experiences in hosting/organising cultural, startup pitch and business events for e.g. GIBF is of great value. 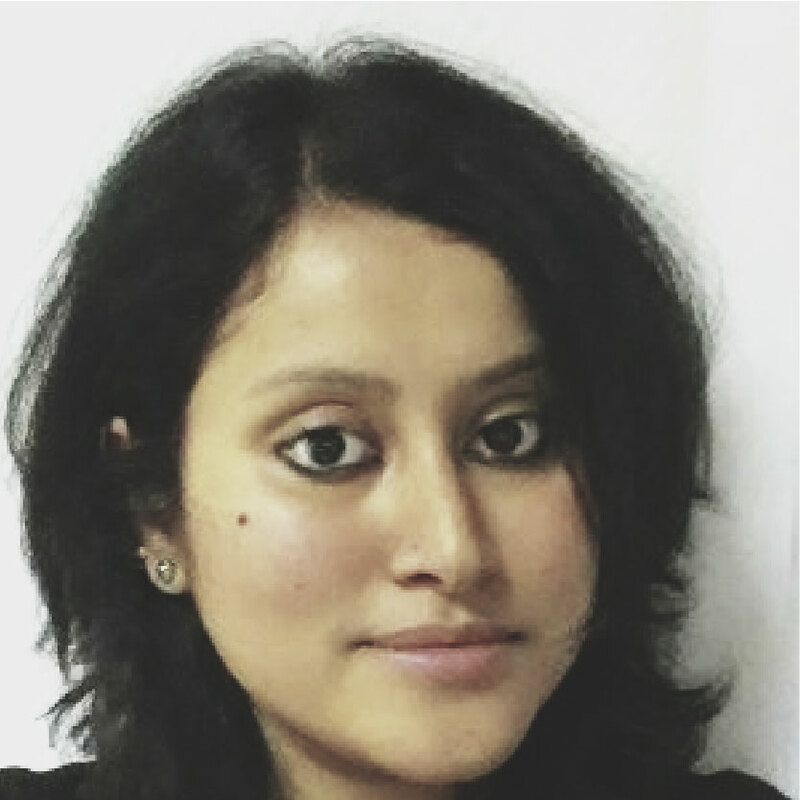 Rituparna is a postdoctoral neuroscientist at the University of Göttingen, Germany, working in the area of deafness research. Her, desire for STEM community development and science outreach, allowed her to lead several cross-functional teams. She is the current editor-in-chief at Club SciWri and the founding member of Göttingen Campus Postdoc Community. Additionally, she co-founded STEMPeers Newsletter and started her own platform called the Serendipity Brain, to simplify science. To unwind, she plays the mandolin and explores good coffee houses. 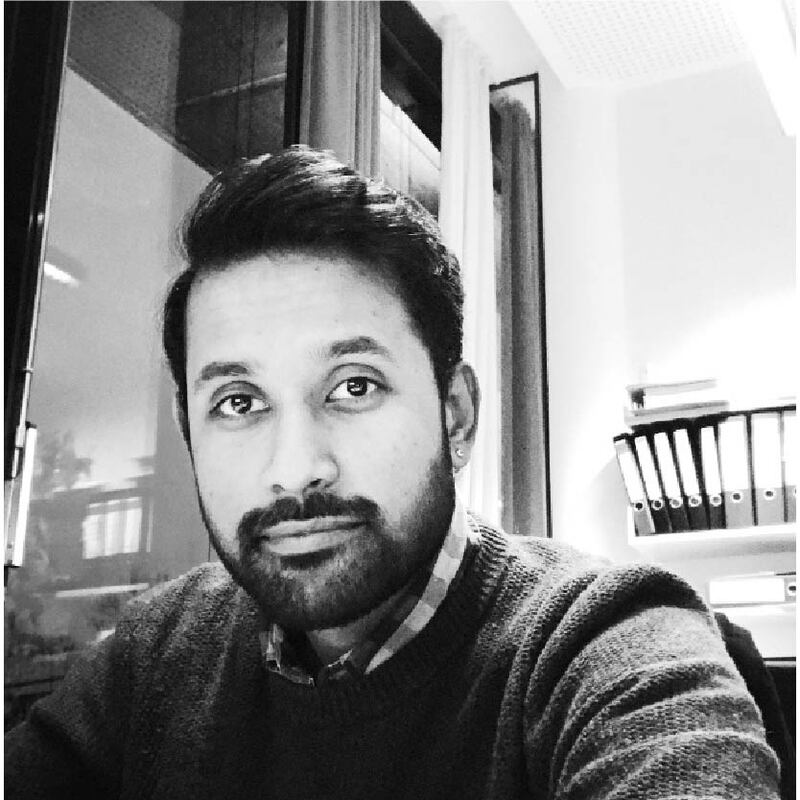 Jubin works as the conference head at XPOMET© Medicinale, Berlin, Germany, which connects major next-generation healthcare players. 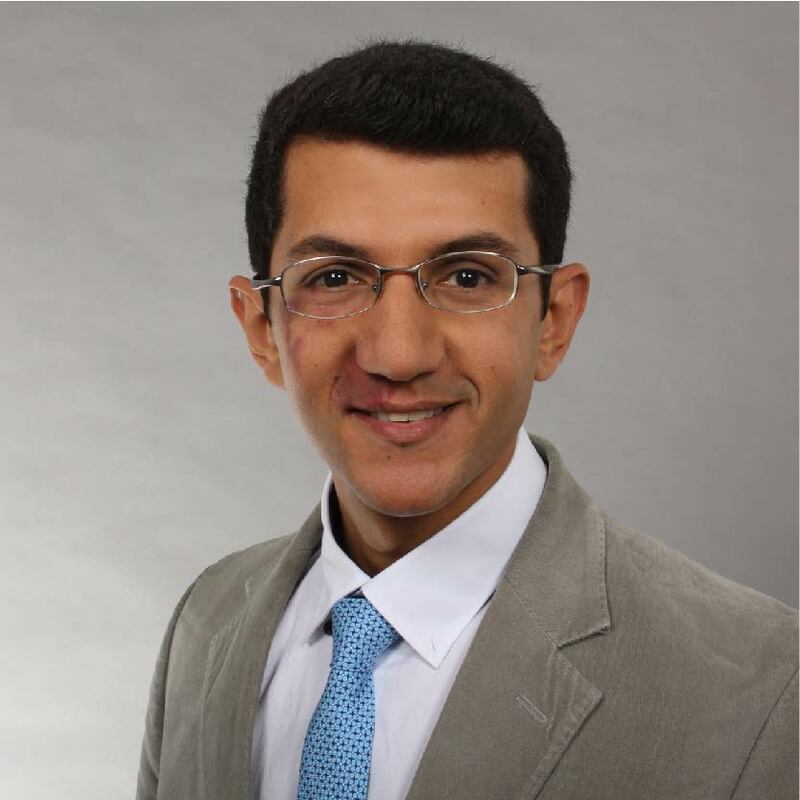 He obtained his PhD from the University of Heidelberg, Germany and did his postdoctoral research at BioMedX Innovation Center, Heidelberg. In general, he is a science enthusiast and love to think beyond the aspect of normalcy. 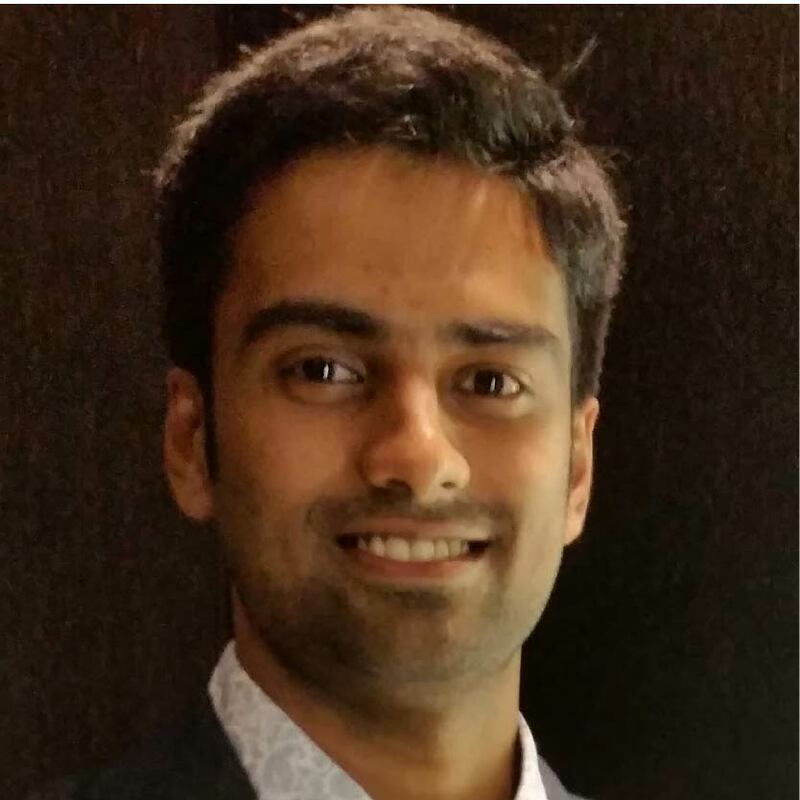 Abhiyan obtained his master's degree in molecular biology from the University of Vienna, Austria. He is soon finishing his PhD in molecular and cell biology at the University of Münster, Germany; as a part of International Max Planck Graduate School. He enjoys communicating science, meeting people and very much looking for his next stepping stones to explore opportunities outside academia. 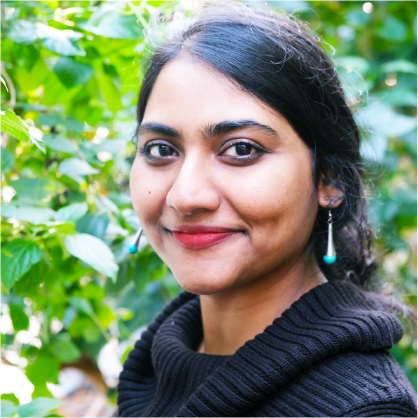 Eshita is an experienced bioinformatics and data scientist, with a passion for using analysis pipelines to discover and develop effective drugs for complex pathologies. She is completing her postdoctoral research (with Marie Curie-PSI co-fund fellowship) from Paul Scherrer Institute, in the field of GPCRs (highly targeted proteins in drug discovery). Maliha did her undergrad and master’s in neuroscience at the University of Pennsylvania, USA. After that, she pursued her PhD in the area of Parkinson’s disease at the Max-Delbrück Center, Berlin, Germany. She is currently the Head of department-science at Alpha-Telemed AG, Berlin, which provides telemedicine systems for Parkinson’s patients. She is also the President of the Penn Alumni Club of Germany. She enjoys travelling and learning new languages, the pursuit of which allowed her to visit 45 countries and speak 8 languages. She is very active when it comes to races (running and swimming) and has 100 under her belt. 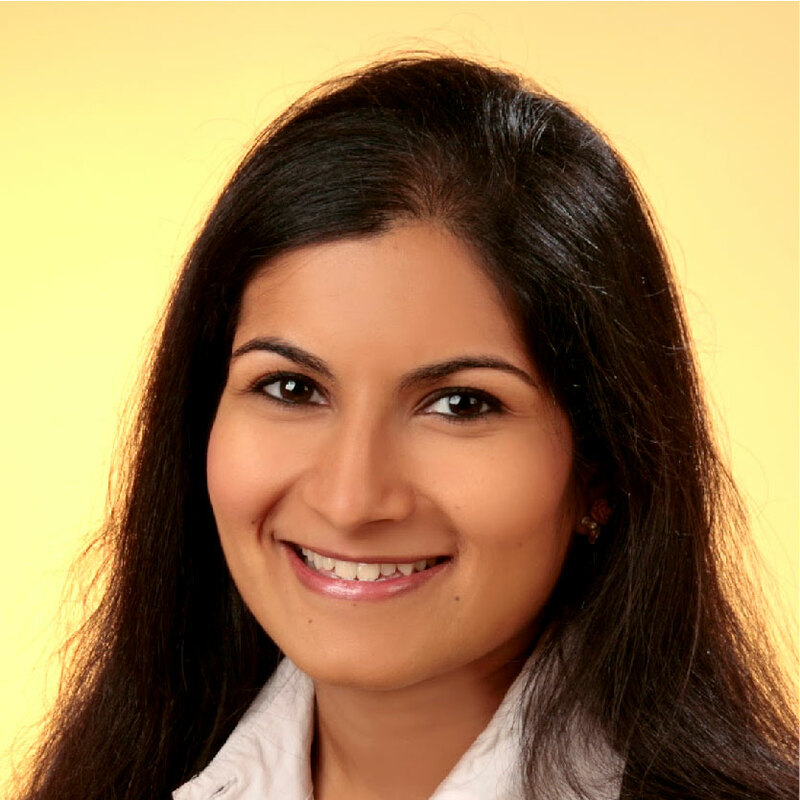 Priyanka is a research scientist at the Institute of Physiology, University-Medicine, Berlin. She is currently appointed as a lecturer at the Freie University Berlin for MSc Bioinformatics course. She has received her Ph.D. from the Humboldt University, Berlin, and studied masters in Life Science Informatics at the University of Bonn. 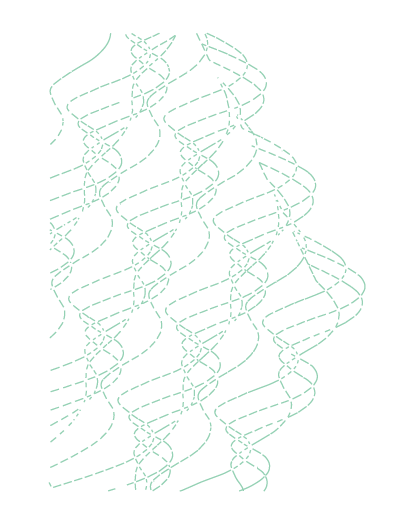 Her fields of interest are computer-aided drug design, cheminformatics, and computational toxicology. 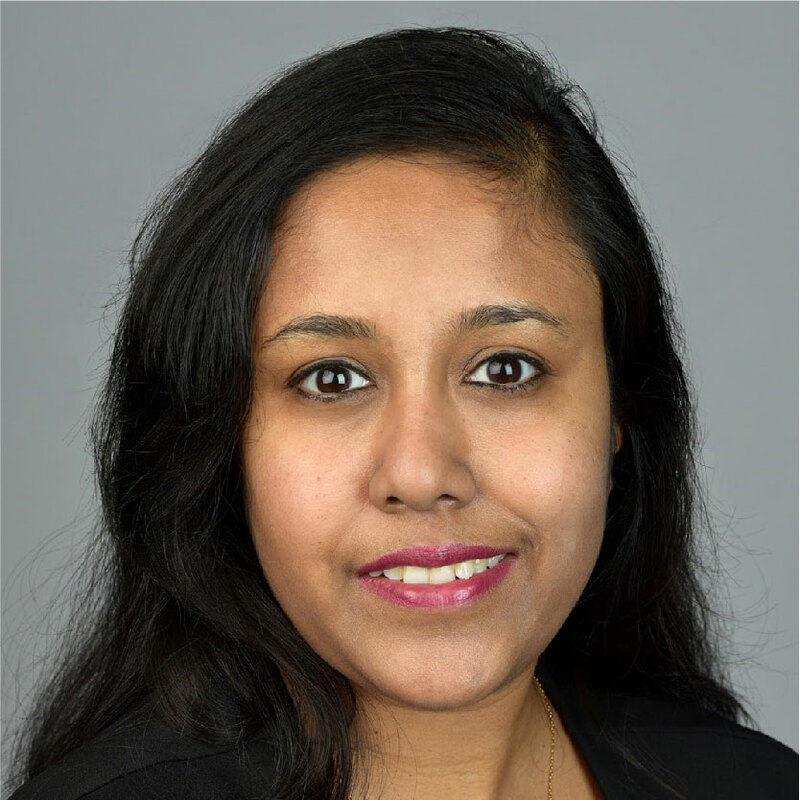 Her current work is focused on patient-centric drug discovery, and applications of theoretical methods integrated with experimental observations in understanding the risk-benefit profile of drugs. 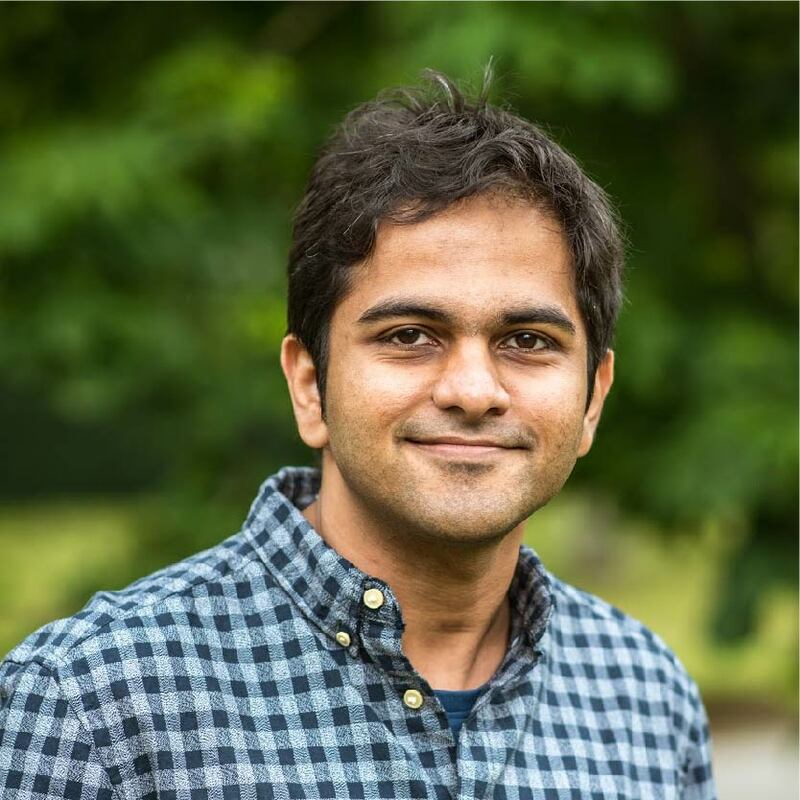 Vikram is a postdoctoral researcher specialising in neuropsychiatric disease models at EMBL, Heidelberg, Germany. He has finished his PhD in Neuroscience from University of Queensland, Australia. He is keenly interested in clinical trial management in biopharma sector. 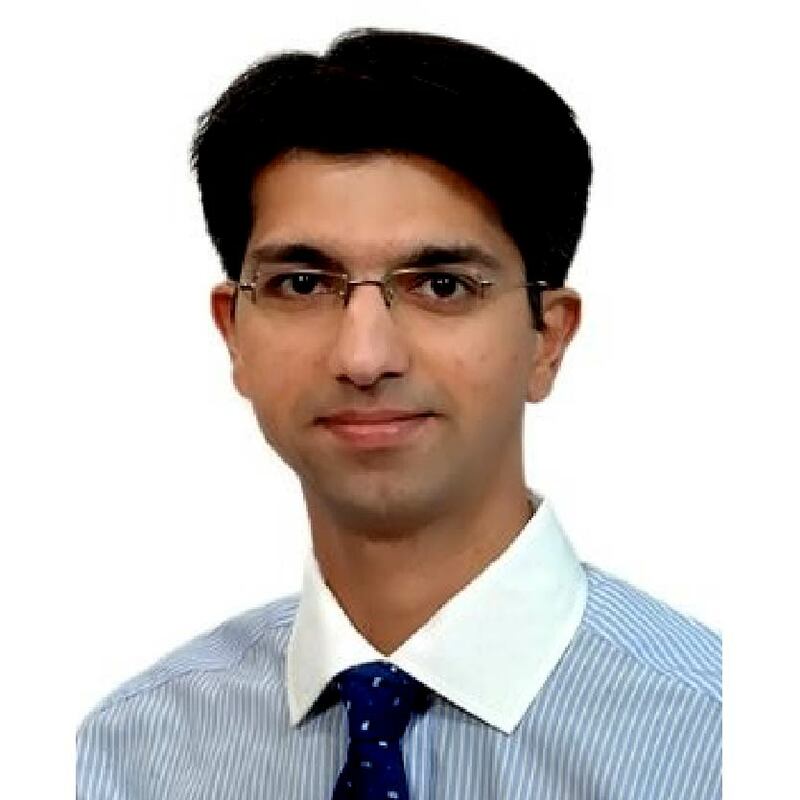 Vinay is a trained virologist with a PhD from Friedrich Alexander University Erlangen-Nuremberg, Germany. He loves connecting with people from different walks of life and hearing their stories. He is a passionate theater enthusiast and performing artist himself. (c) EuroSTEMPeers, 2019; All rights reserved.